The Loonie-Dollar changes reflect the accumulated differential of monetary policy between the US Fed and the Bank of Canada over the last few years. It’s pretty clear to everyone the US Fed uses it’s balance sheet to prop up assets like stocks (the inflator of last resort). The Bank of Canada is probably more dedicated to goals like price stability. I remember the Loonie-Dollar at 0.75 and lower. 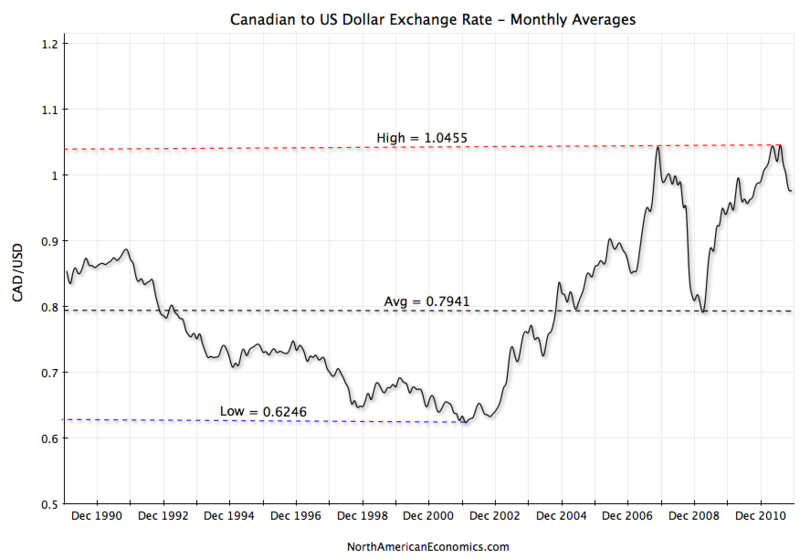 Wow, nowadays the Bank of Canada are hawks compared to the Fed.